Developer Artifex Mundi's last title was different from their usual output, with a story told entirely through images, distinct levels, and simplified point and click gameplay that made it a game suitable for the entire family. 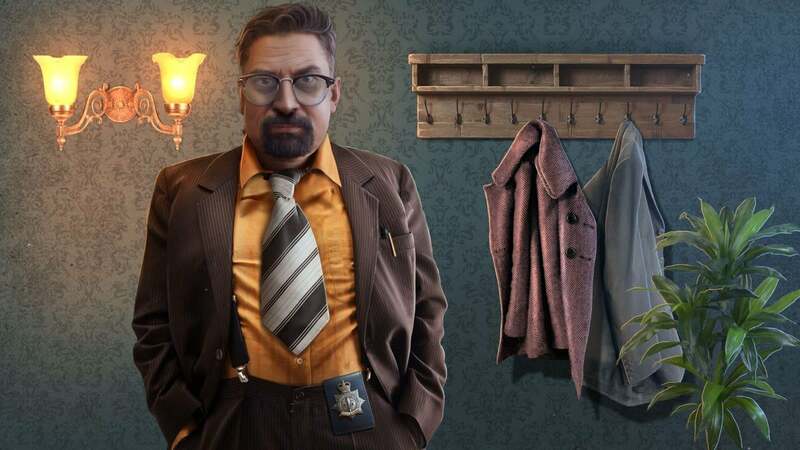 After that breath of fresh air, Noir Chronicles: City of Crime returns to the usual recipe of casual hidden object gameplay interspersed with puzzle solving. While the game certainly functions as intended, with repetitive puzzles, lower quality production, and a few other issues, you start to wonder whether Artifex Mundi is starting to tire of their own formula. It's been a while since we've been able to start off a review with "it was a dark and stormy night," but even though the game is independent of any others, the typical setting appears as the intro cutscene kicks in. An anonymous hitman is ordered to kill a woman called Barbara for reasons unknown. She's the ex-partner of private investigator Alfred Fox, and when the hitman arrives on her doorstep, he's the first person she calls for help. Fox rushes to the scene, and players begin the game at the gates at the front of the house, wondering whether he's too late to save her. Fox seems remarkably calm, even apathetic, for somebody trying to prevent a murder. Unfortunately, this is a common theme amongst all of the characters you'll meet. While these games aren't known for their great voice acting anyway, the cast for this title sound like they're reading from a script at best, and completely and utterly bored at worst. At least this time we get to put a face to the protagonist as he appears on screen multiple times — perhaps too often as the cutscenes are obsessed with focusing on his face as much as possible — but he's more of a means to propelling the game forward rather than an interesting character worth getting to know. The game's story is incredibly linear with a maximum of three locations available at any one time before Fox moves on to a new area. This makes the storytelling incredibly efficient with little backtracking and no reused scenes. As such, the time to play through the story sits at around 3-4 hours to complete without a guide. This estimate includes time spent looking for the collectibles, a selection of footprints and handprints with the occasional fingerprint thrown in for good measure. They're fairly obvious to see in most cases and won't present much of a challenge, although if you do happen to miss one of them, you'll need to begin a completely new playthrough to retrieve it. The gameplay is always the better part of an Artifex Mundi title. Without any magical powers to rely on, Fox has to draw upon some other skills to get him through. 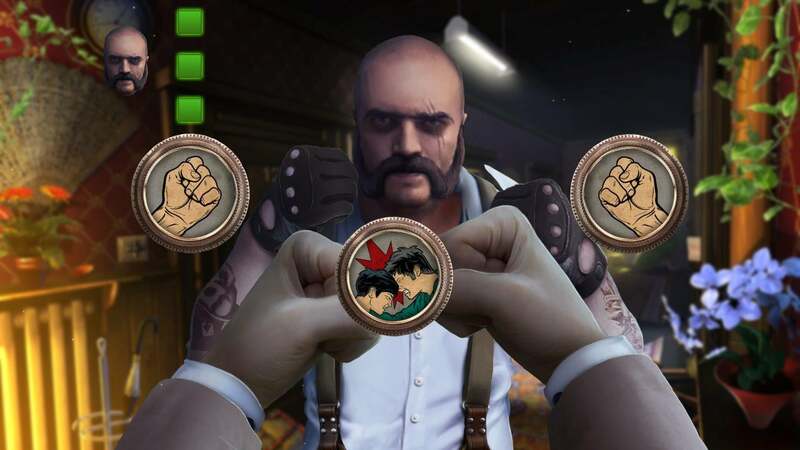 The first of these is fist fighting, initially introduced as a memory game where players match the sequence shown — it's the equivalent of the rune battles. These work well enough, apart from one bizarre puzzle where players set the sequence instead of repeating it. The problem is there is a correct sequence to set but no clues, and it results in random button pressing until you stumble upon the answer. Clear instructions and clues are usually provided with each of their puzzles and this is a rare moment of the developer losing their way. The second skill Fox possesses is interrogation. He's on the receiving end of the first puzzle, where players instead have to answer the questions of another character based on the events they've witnessed, and it's a promising start with these puzzles having the potential to be the best in the game. It's a shame that they're then seemingly forgotten about, appearing only once more in a simplified format with players unable to make their own deductions. There are two other types of repeating mini-games, and it feels like the developer ran out of ideas partway through the game and resorted to recycling them to fill in the gaps. However, the mini-games do all work as intended with the exception of the example above, and they will give those brain cells something to do for a while. 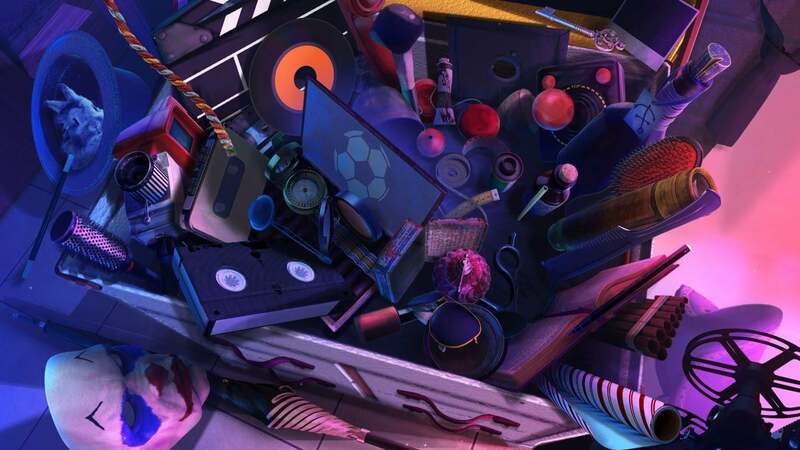 The hidden object games return in abundance, with word lists, picture lists, and fragmented object games all featuring prominently. There's even an occurrence of the final type of game where players use objects they find to uncover more clues. There are no hitbox issues to be found, although the word lists do involve some translation issues that are only a minor inconvenience, still being clear enough that they don't cause confusion. For both the hidden object games and the other puzzles, there's the hint system if you get stuck, although you'll want to avoid this if you're aiming to gain all of the game's achievements. As with the last few titles, there is no alternative to the hidden object games, like mahjong or dominoes. The game does include a bonus chapter, taking place five years before the events of the main game and telling the story of how Fox came to choose his career path. Despite this, all of the achievements can be earned in a single playthrough of the main campaign, and those purely hunting for Gamerscore will likely ignore the bonus chapter. As usual, there are several unmissable story related achievements. You'll also need to make sure that you play on Expert difficulty, find all of the game's collectibles, be fairly efficient with both the mini-games and hidden object scenes, and not use any hints or skips. None of these achievements will provide much of a challenge. 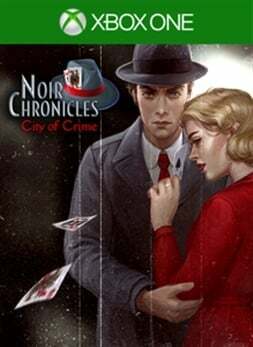 Noir Chronicles: City of Crime returns to Artifex Mundi's usual formula of casual hidden object scenes and puzzle solving with an independent story looking to stand on its own feet. The problem is it's let down by lacklustre voice acting and an uninteresting protagonist whose skills are never really given a chance to shine. In fact, the developer's usual standards seem to have slipped a little with some puzzles not working as well as they should, and repetition seeming to suggest a developer potentially running out of ideas. If you've played the developer's other titles then this one isn't any different; it largely works as intended and still provides a quick Gamerscore fix if that's what you're looking for. If you're new to the developer's output, while the game is a decent entry point for those new to the genre, it's not their best work. 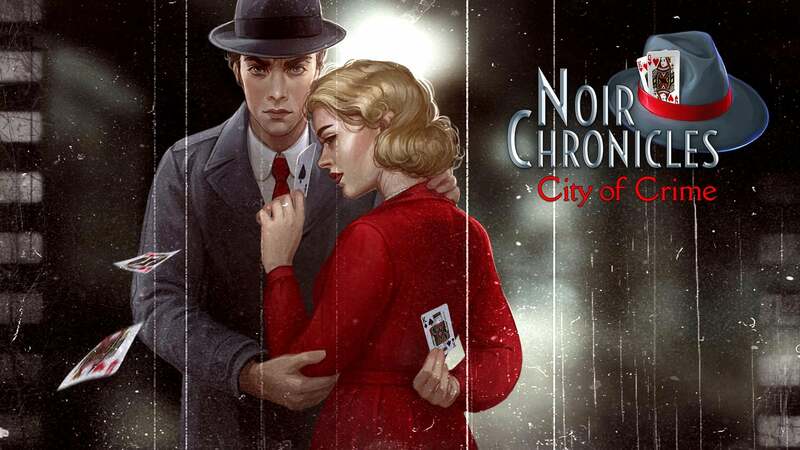 With Noir Chronicles: City of Crime, Artifex Mundi has made you an adventure game you can refuse. The reviewer spent 3-4 hours getting involved with the murky world of gangsters and corruption, although she thinks she fared alright in the end. She managed to gain all 20 of the game's achievements, so that's always good. An Xbox One copy of the game was provided by the ID@Xbox team for the purpose of this review.